You'll be £10.99 closer to your next £10.00 credit when you purchase Foul Deeds and Suspicious Deaths in Bolton. What's this? 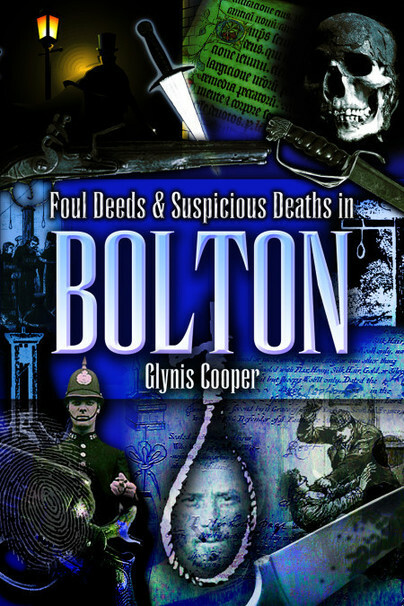 Foul Deeds and Suspicious Deaths in Bolton takes the reader on a sinister journey through centuries of local crime, meeting villains of all sorts along the way. There is no shortage of harrowing incidents of evil to recount from the town's early industrial beginnings to its murderous heyday in the nineteenth century. Glynis Cooper's fascinating research has uncovered grisly events and sad or unsavoury individuals whose conduct throws a harsh light on the history of a city that was once known as the Geneva of the North. These extraordinary stories, rediscovered in the Bolton Evening News, in council archives and in police and court records, shed light on a bloody past that Bolton would prefer to forget.